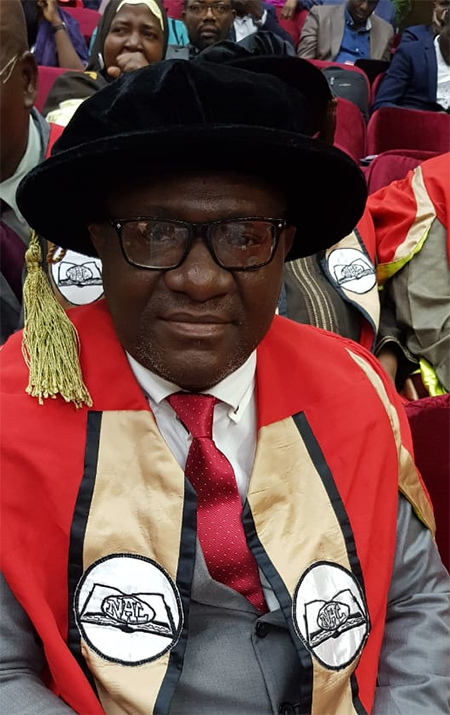 Prof Abiodun Salawu, the director of the North-West University’s (NWU’s) Indigenous Language Media in Africa research entity on the campus in Mahikeng, was recently inducted into the Nigerian Academy of Letters. The event took place at the University of Lagos in Nigeria, and featured the 20th convocation of the academy as well as the investiture of new fellows and the induction of new members. The Nigerian Academy of Letters is a non-political state institution for advancing scholarship and public interest in the humanities at the highest level in Nigeria. Foundation fellows of the academy include Prof Emeritus Ayo Bamgbose, late Professors Chinua Achebe, Emeritus JF Ade-Ajayi, AE Afigbo and Adeboye Babalola. The academy aims to create a national forum for the coordination of the efforts of learned societies in humanities; to promote scholarship at the highest levels, to influence the formulation of policies affecting the development of humanities at different levels, and to cooperate with similar bodies in the promotion of overall national interests.